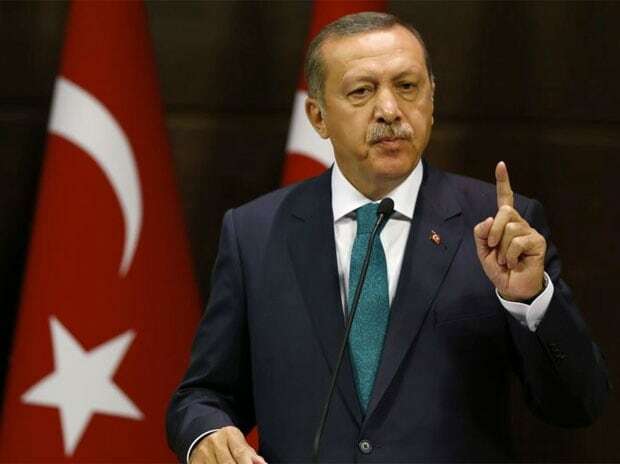 Turkish President Recep Tayyip Erdogan moved to shore up alliances in Europe and the Middle East, easing pressure on the battered lira, as the stand-off between Turkey and the US deepened. Efforts to rally support and bolster domestic markets include a call Thursday between Turkish Finance Minister Berat Albayrak and international investors. Erdogan also spoke with French President Emmanuel Macron, a day after talks with German Chancellor Angela Merkel and a $15 billion pledge of support from Qatar. The lira climbed for a third day along with emerging-market currencies even after the White House said new tariffs on Turkish goods would remain regardless of whether Andrew Brunson, an American pastor detained in Turkey, was freed. Helping support the currency, the central bank didn’t offer any funding through its one-week repo rate at 17.75 per cent for a fourth day, forcing lenders toward its more expensive overnight rate of 19.95 per cent. "The bigger issue for markets is this constant politicisation of economic and financial issues," said Mohieddine Kronfol, the Dubai-based chief investment officer for global sukuk, Middle East and North Africa fixed income at Franklin Templeton Investments. Erdogan’s overtures to Europe suggest he’s prepared to mend ties strained by past diplomatic clashes -- he accused Merkel’s government of engaging in "Nazi practices" last year -- in an attempt to weather the U.S. pressure. The pledge by Qatar, on the other hand, rewards the president for standing by the gas-rich Gulf country against a Saudi-led boycott backed by U.S. President Donald Trump.